Hollywood has been in town, or at least Lincoln, with its cathedral being used during the filming of the Netflix movie The King, and we were called into to supply water for the actors and production team. The King is being co-produced by Brad Pitt and will star Timothée Chalamet, Joel Edgerton, Robert Pattinson, Ben Mendelsohn, Sean Harris and Lily-Rose Depp (the daughter of Johnny). It’s being directed by David Michôd and is inspired by Shakespeare’s Henry IV and Henry V plays. It follows a disgraced young Prince Hal (played by Chalamet) who eventually learns what it means to be king thanks to his friend Falstaff. 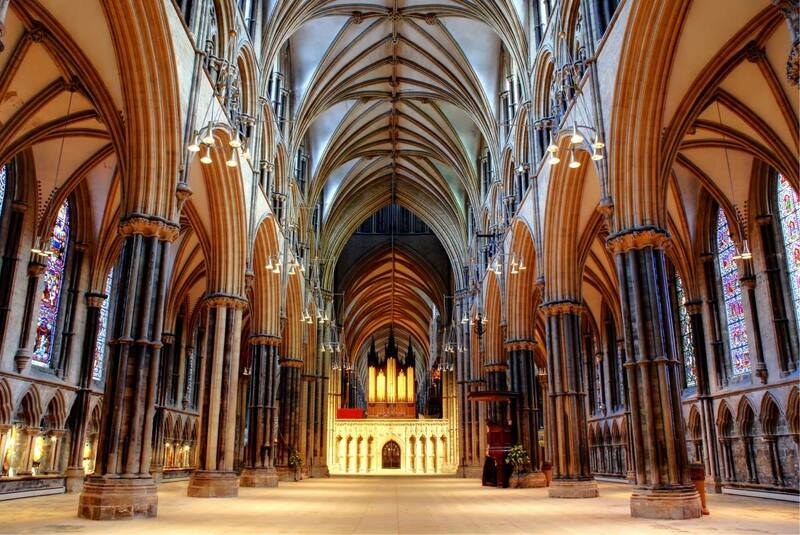 Lincoln Cathedral provides the backdrop for Henry V's coronation in 1413. Several pictures have been posted on the Twitter page of the movie showing a hand-painted throne, candles in the cathedral and scenic views of its stained glass windows. The city is one of several locations in England being used along for the film along with Budapest, in Hungary. It is scheduled for release next year. We have an ever growing client base which mostly covers offices and factories, but we’re equally as pleased to be called in by Hollywood. If you’d like to know more about our water services, as well as our fruit deliveries, have a look at our website or call our sales team on 0800 061 2193. Pic courtesy of Lincoln Cathedral.